In terms of Irish rock bands, it doesn’t get much bigger than U2. It’s hard to imagine hearing the band’s anthemic rock songs in person anywhere else but a stadium. Albums like 1983’s War and 1987’s The Joshua Tree showcased Bono’s socially conscious lyrics and larger-than-life falsetto as well as The Edge’s carefully crafted guitar lines and unique tones. Before cultivating their stadium-rock sound, the band’s origins were rooted in post-punk with their first two full-lengths, Boy and October. On their third album and beyond, the band’s uplifting, mammoth rock sound incorporated a wider palate of influences and allowed the production knowhow of Steve Lillywhite and Brian Eno to seep into their music. In terms of U2’s popularity in America, no city played a greater role than Boston, which embraced the band early on and never let go. Recorded on the Joshua Tree Tour, when U2 was arguably near the peak of their powers, this remarkable recording captures the second night of U2’s two-night stand in Boston. Having graduated from the much smaller Orpheum to the mammoth Boston Garden sporting arena, enjoy a key moment in U2 history, as they perform before their biggest and most ecstatic Boston audience to date. 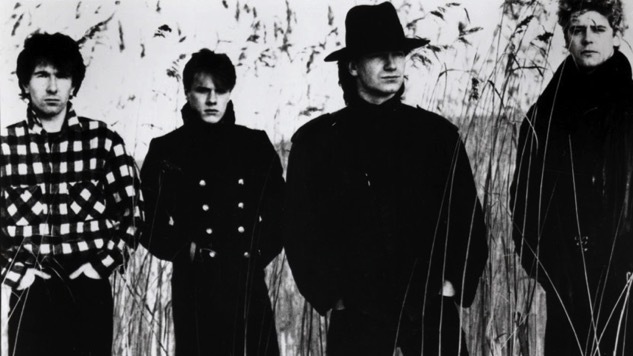 Listen to U2’s full 1987 performance below.